A regular source of microformats events. The community and adoption have grown considerably over the last few years, and news of adoptions (and once in a while challenges) come up frequently enough (at least once a week) that there are no shortage of new topics to discuss on a weekly basis. See purpose for more. By making this a regular (Tuesdays) event, people know it is happening regularly and can thus come whichever ones are convenient for them, and not worry about missing any one in particular. See events for the latest meetups in San Francisco. From having informally asked a few folks in the SF area and on IRC it seems Tuesdays at 19:00 (7pm, .79, .08Z, @125) work best, with a rotating venue to keep it interesting. Bars, cafes, or restaurants that take orders "cafe style" or allow individual checks typically work best, because people often arrive and depart at different times during a microformats dinner, so that everyone doesn't have to be bottlenecked by a single check. Osha Thai on 2nd st.
Past SF venues. We'll reuse these at some point I'm sure. This section needs updating with dinners that have occurred since 2008-10-28. Please update the following list by looking at events-2008 and more recent events, and add links (even just one more would help!) to dinners starting from the "since" date above, and update that date accordingly so that other contributors know where to continue updating from. Thanks! In London, Tuesdays at 7:30pm worked well. 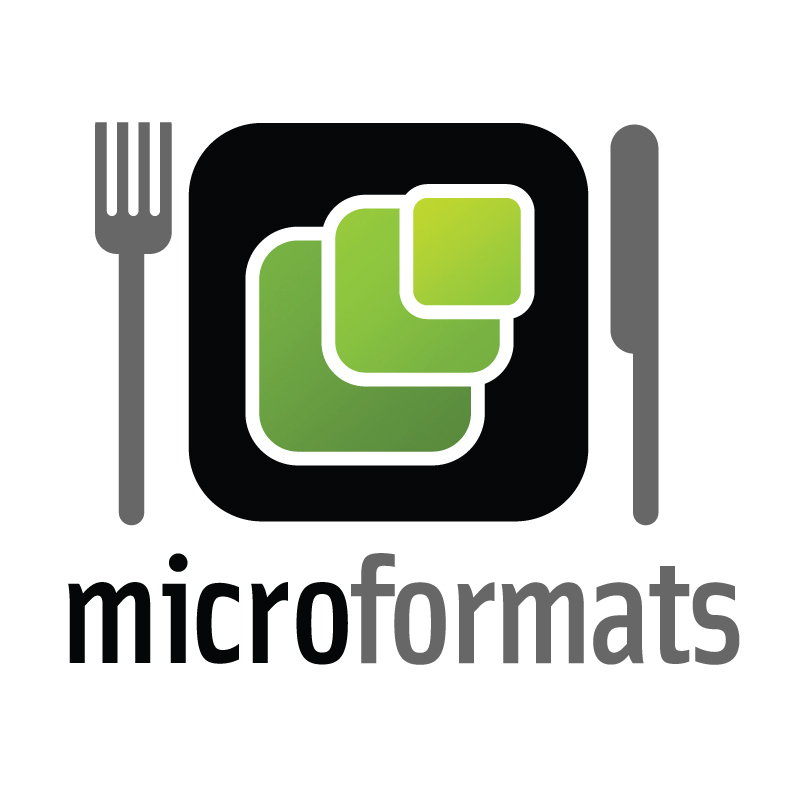 Want a microformats meetup in your city? Organize one! Add your city and name to this list. Contact others from your city and organize a meetup. Once you do one, add another section for your city above this "Other Cities" section, and list suggested venues, past venues with links to meetup event pages etc. There has been some interest expressed in organizing dinners in the following cities. Add yourself and/or contact the people listed and make it happen! Anyone can organize a microformats weekly meetup or dinner! At least one other person that commits to go (so at least you know you'll have a good conversation about microformats with at least one person). Announce it (location at 18:30, Tuesday) on various event sites and notification services like Twitter etc. Ask folks on IRC if they have any suggested locations. Consider locations that are easy for a variety of people to transit to. Consider a new location to keep it interesting. Create specific event page on microformats.org wiki, follow the form YYYY-MM-DD-meetup-CITYCODE — e.g. 2012-01-03-meetup-sf in San Francisco, or 2012-01-03-meetup in London. Update dates and locations in the infobox at the top. Update the tags list, adding the event specific tag for this event. Update the URLs for Plancast, Facebook, Upcoming, H2VX, Google Blog Search and Flickr. These search on the event tag itself, so need to date portion updated. Create an upcoming event, summarizing the event and linking to the new wiki page you just created. Just after creating the event, Upcoming gives you the option to "upload an official photo or image", click that link and upload http://farm4.static.flickr.com/3216/2836380076_9251390ded.jpg, making it the official photo for the event. 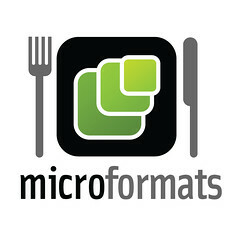 Thanks to Cindy Li for the cool microformats meetup graphic!. Add the event to the Microformats, Web2.0, Bay Area Web Geeks, Web Developers, Geek Dinners and Social Network Portability groups. Update the wiki events page with Upcoming.org event tag (upcoming:event=00000000) you just created. You can copy and paste the previous meetup/dinner summary and change the relevant detail. Create a http://plancast.com/ page for the event, using the event's wiki page as the event URL. If you're an admin of the Facebook microformats group, go there first and choose the top right drop down arrow menu / "Use Facebook as … Microformats", and *then* create the event, then the event will be owned by the page and thus editable by any of the page admins. Use the image at the top of this page for the event image. On the day of the event, post a reminder in the morning (to Twitter etc. ), and again an hour before the event. At the event, take a photo and post it to Instagram, Flickr etc. Post a thank you note thanking those that attended, invite them to add their content to the wiki. Update the wiki event page with details of discussions, photographs, blog links and so forth. One of several microformats [[meetup]] [[events]]. <div class="description p-description">The microformats community has grown and stablized over the past few years, news of adoptions, new ideas and challenges come up frequently enough that there are no shortage of new topics to discuss on a weekly basis. * replace "EVENTSPECIFICTAG" in the below text with a tag unique to the event, i.e. short name of event + (optional location) + (full-year or sequence number), e.g. BarCampBlock2007, FooCampLondon2007, SHDH22, SXSW2008, microformats-dinner-2012-MM-DD - update MM and DD to the Gregorian month and day of the month accordingly). * update the Upcoming.org event machine tag, too. If you use Twitter, mention ''@microformats dinner''' in tweets about the event, and track them on [http://search.twitter.com/search?q=microformats+dinner Twitter Search]. * Search for photographs from this event on Flickr: [http://flickr.com/photos/tags/microformats-dinner-2012-MM-DD Photographs tagged microformats-dinner-2009-MM-DD] or for [http://flickr.com/photos/tags/microformats-dinner all photographs from microformats dinners]. ''Add a photograph from this event here''. Also, find posts on this meetup on [http://blogsearch.google.co.uk/blogsearch?q=microformats-dinner-2012-MM-DD Google Blog Search] or [http://technorati.com/search/microformats-dinner-2009-MM-DD Technorati]. In addition to providing a convenient forum for community members to get together once in a while and talk about the latest news about microformats, the weekly meetups serve many good ends. Perhaps most importantly, weekly meetups really help communication and community. People that have met in person usually treat each other nicer online, thus very much help encourage everyone to be nice in IRC, mailing lists etc. Perhaps move to weekly-meetup-faq if this section gets too big. Q: Do you just talk in general about microformats? A: As there's been new people at every microformat meetup, there's almost always at least some general talk about microformats. Q: How do you handle newcomers and at the same time get into detailed stuff? A: Usually there are multiple conversations going, so there's almost always a good conversation to participate in. Also, it helps everyone to talk with newcomers and get fresh perspectives, as well as practiced at effectively communicating what microformats are, benefits, how to use etc. Q: Do you try to solve some existing issues? A: We have discussed existing issues in some past meetups. Often divisive or controversial topics are much easier to discuss and understand multiple perspectives on in person. For example, Ben Ward and Tantek have made some good progress on understanding various perspectives on value-excerption-brainstorming and are optimistic about making progress on related issues. Q: Do you take notes? A: Everyone is encouraged to take notes and contribute aspects of conversations, topics etc. on the wiki page for the meetup.